The Riva Studio Sienna is a woodburning fire with a travertine frame. 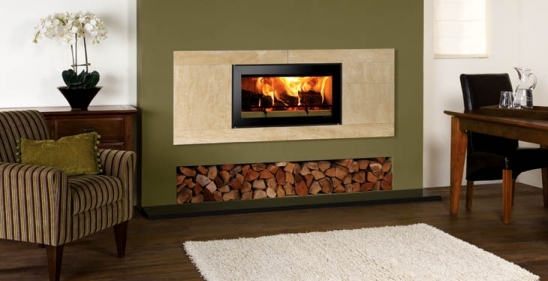 The frame is cut from a solid piece of stone and brings a timeless elegance to the fire. Approved for use in Smoke Control areas and available in two sizes, the Riva Studio Sienna fire is at home in traditional or contemporary homes.